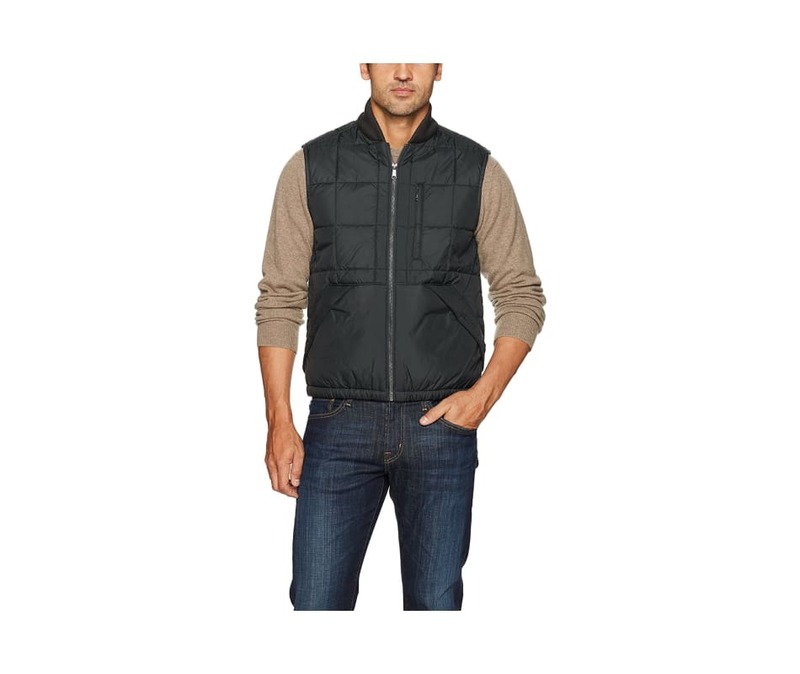 When you're packing light, toss Woolrich's Exploration Heritage Eco Rich Packable Vest into your bag. It's lightweight, warm and packs down into an internal printed interior pocket. Its poly plainweave outer shell is water resistant; lining is smooth nylon taffeta. In between, it's fully insulated with Primaloft Black Eco Insulation for maximum warmth at minimum weight. 4? square box quilting on front, back and sleeves; angled front pockets are non-quilted. Center front zipper leads to a double-knit baseball collar. Zippered upper chest pocket; lower reverse entry hand warmer pockets. Elastic hem.